Do you need wedding insurance or special event insurance? It's a party! Who brought the insurance? It is 1am in the morning after your wedding and you are recalling the events of the most memorable evening of your life. Unfortunately, you are recalling them with the fire department trying to explain how the candle at table 12 ignited the centerpiece and lead to a fire that spread and destroyed the banquet hall. On top of this, the venue hall is now looking to you to pay for the repairs. What now? Whether celebrating a graduation, anniversary, baby shower, or a wedding, a homeowners policy provides good protection for your liability arising out of your hosting non-business events. Major liability issues such as bodily injury to guests and fire damage to rented premises can often be covered under your homeowners or umbrella policies. Damage to the rented premises is limited to the perils of fire, smoke and explosion. An umbrella policy may expand these perils. Host Liquor Liability is included on your homeowners insurance policy, but the coverage is limited. See more about these issues in our Host Liquor Liability article. So what does Special Event Insurance do? There are a few reasons to consider getting a separate policy to cover your special event rather than just count on the protection provided by your homeowners. 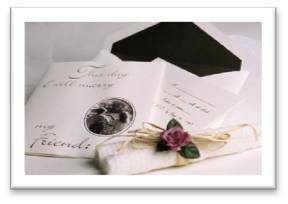 We will take a look at a wedding insurance policy as an example. There are some venues that will require that you add them as an "additional insured" on the liability coverage for the event. This means that your policy will protect them for liability arising out of having your event. This is a common request for business insurance, but is not available on a homeowners policy. A wedding policy will allow you to meet this requirement. A wedding policy will throw in extra coverages for things not covered under a standard policy. These policies can include coverages for such things as a lost wedding dress, ruined photos, postponement due to severe weather/illness and more. One single occurrence can bring in a great number of people into a claim. When counting on coverage from a homeowners policy, you may have to turn in the claim on the policies of the bride, groom, and both sets of parents as the insurance companies fight amongst themselves to see who is going to pay. A wedding policy allows for one central policy to handle the claim and remove added frustration for the new family. Your homeowners policy will not provide coverage if the event is related to something you do for economic gain. Special event policies are not standard can the coverage provided can change depending on the carrier/policy. Cheap coverage may be cheap because it doesn't actually provide much coverage. If you have an event coming up and have questions, give us a call. We can discuss your options.